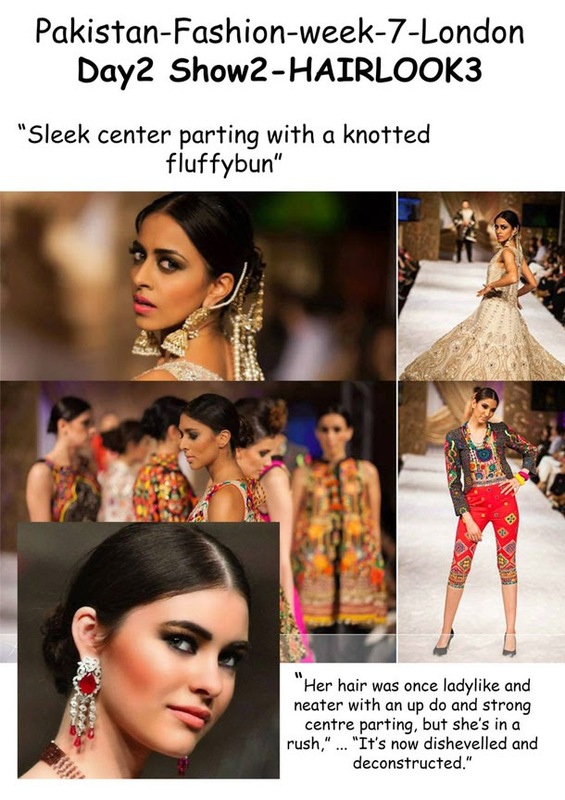 Shama Akhtar, one of the hair stylists at PFW 7 (Pakistan Fashion Week in London), has been sharing her rundown of the three key hair styles showcased at the event. 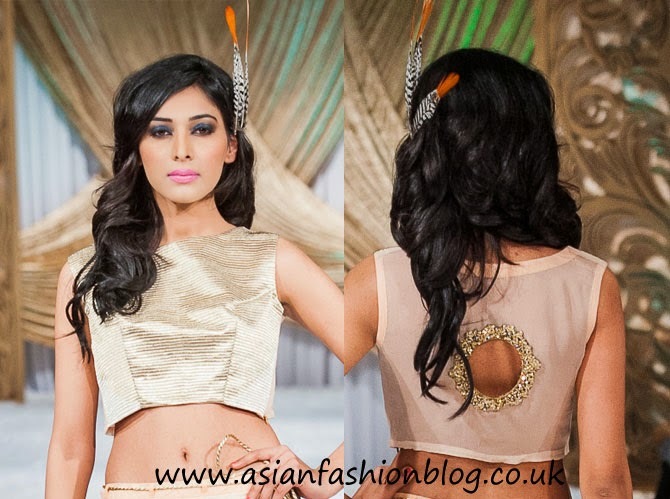 Sleek hair look with a strong side parting and sculptured low bun. “A low side parting conveys strength.”. Curls. "Nothing says red carpet chic like beautiful fully glossy, Hollywood curls"
Sleek centre parting with a knotted fluffy bun. My favourite of the three looks was definitely the "hollywood curls" hairstyle, it just looked so glam and I think of the three looks, this is the one that would suit most people. Sofia Qayyum was the Official Hairstylist for the show with HairTeam, which consisted of 4 independent hairstylist who joined her for the show. We were solely responsible for every model on the Catwalk looking the part, that's 20 models on the ramp, plus the show presenter, organisers and of course the SHOW STOPPER MODELS! 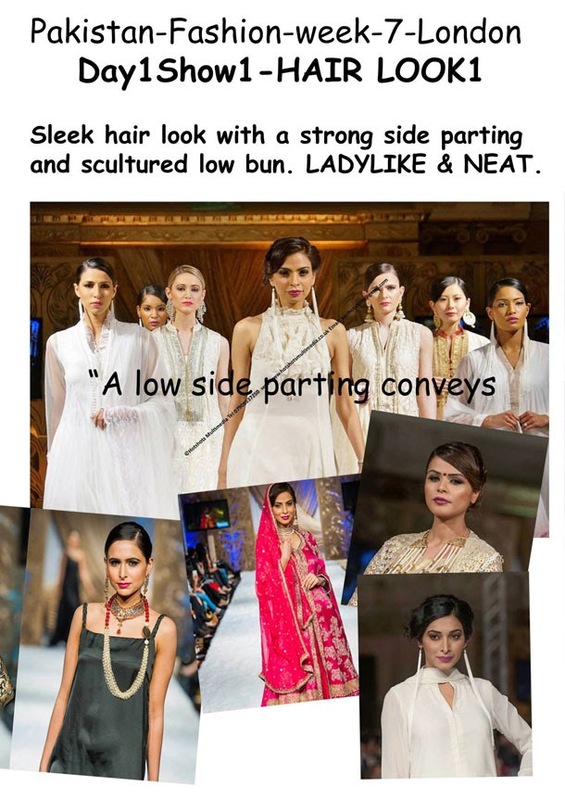 The hair concept was created by [head stylist for the show] Huma Tahir herself, and our job was to ensure it was executed on the catwalk. There was no training, no rehearsals - just straight in to doing model hair on day! The atmosphere backstage was just buzzing, it was such an adrenaline rush to get the models ready against the clock, I managed to sneak out for a couple of minutes to see the girls on the stage and boy did they look amazing! 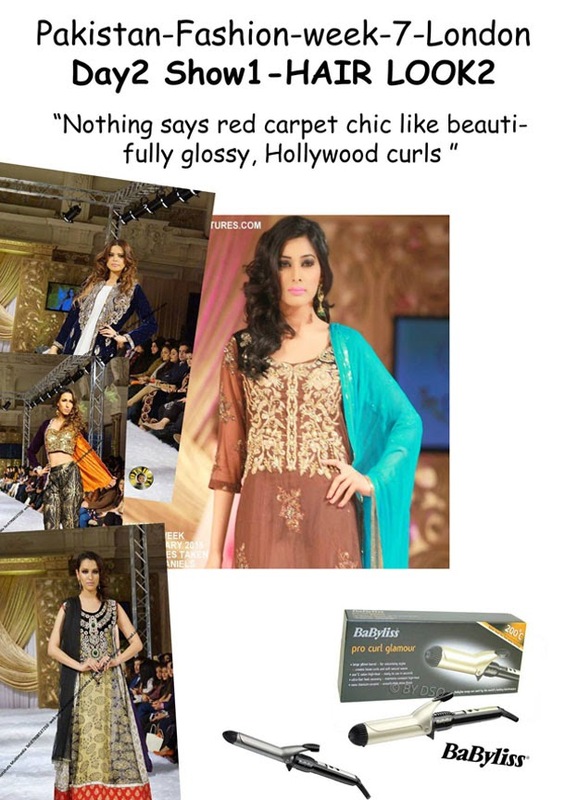 That's the thing about Asian outfits, after the make up, the hair, the jewellery and the outfits the glam-o-meter is just through the roof! From left to right: Sandeep Singher, lead hairstylist Sofia Qayyum, Shama Akhtar, Inaaya Sonya Ali and Ilmaas M.
Which of the looks did you like best?